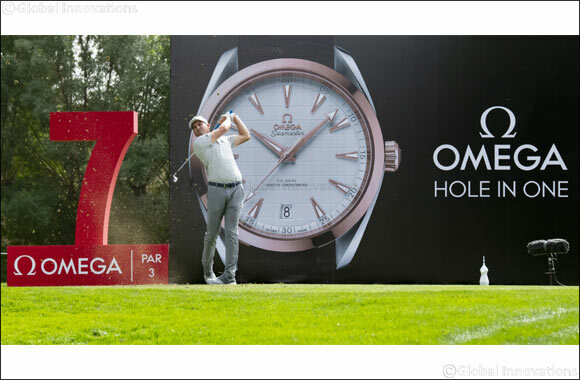 Dubai, 24th January, 2019: OMEGA ambassadors, Sergio Garcia and Tommy Fleetwood, have teed off on a gloriously sunny day at the Emirates Golf Club in Dubai to get the 30th edition of the OMEGA Dubai Desert Classic underway. While the 2017 winner Sergio Garcia will be looking to earn his second win at the tournament, his friend and fellow OMEGA ambassador Tommy Fleetwood is sure to be hot on his heels. The young English golfer has already made an impact in the region, as winner of the 2017 Race to Dubai Champion. The OMEGA Dubai Desert Classic, a part of the European Tour, has been dubbed the 'Major of the Middle East' and in recent years has risen to become a widely recognised and reputed tournament on the world circuit.